Recently the meetings held by the Government of India and Sri Lanka to find out a concrete solution to settle the issue have also failed, he added. 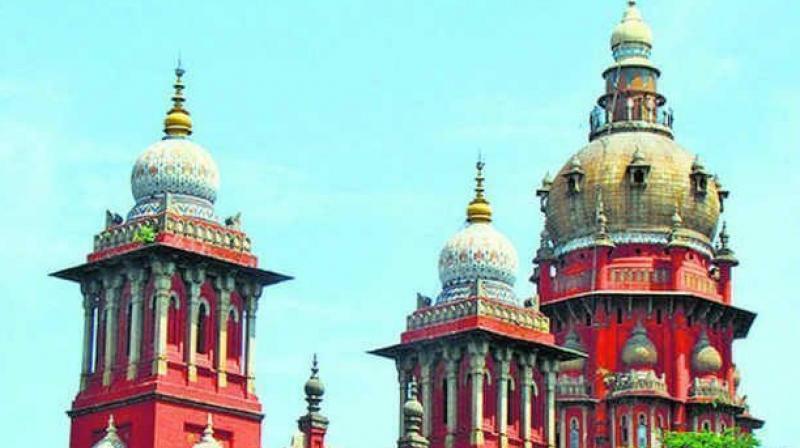 Chennai: The Madras high court has directed the Central and state governments to look into the grievance about the welfare schemes of the fishermen if already not looked into. A division bench comprising Acting Chief Justice Huluvadi G. Ramesh and Justice M. Sundar gave the directive while disposing of a Public Interest Litigation from Fishermen Care, represented by its president L. T. A. Peter Rayan. In his PIL, Peter Rayan sought a direction to the Union and state governments to formulate welfare schemes to rehabilitate the families of the Indian Tamil Fishermen, who is affected by the alleged attacks of the Sri Lankan navy while they engage in fishing in the historic waters of Palk Strait between India and Srilanka by providing employment, housing and financial assistance for seeking their livelihood. According to Rayan, fishermen from TN were exercising their traditional rights of fishing in the historic waters between India and Sri Lanka only on the premise that such rights have been protected under Article 6 of the 1974 Agreement. However, as per the reports of Indian Coast Guard as of December 5, 2013, 111 fishermen have been killed, 16 men are either missing or killed and 439 have been injured. He said it was the duty and responsibility of the government to protect the fishermen who are exercising their traditional rights of fishing since the government has failed with many losing their lives and or jailed in Lanka, it is time for the government to provide alternate means for these fishermen to manage their lives. Their inaction amounts to a violation of Article 19 (1) (g) and Article 21 read with Article 38 of the Constitution. Therefore, he sent a representation to the authorities to formulate welfare schemes to rehabilitate the families of Indian Tamil fishermen. But till date, no action has been taken, he added.